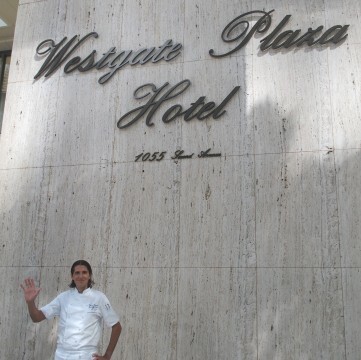 The Executive Chef at San Diego’s Westgate Hotel begins his workday at 6:00 am. 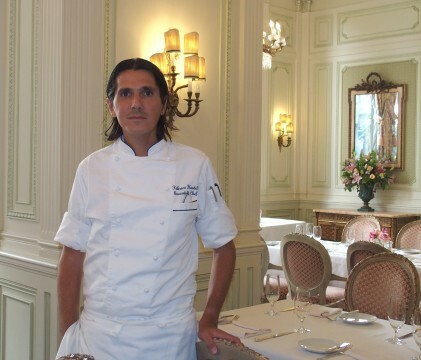 Fabrice Hardel’s early rising has nothing to do with his responsibilities attending to the restaurant, catering, and room service needs at his place of employment. Fabrice gets up before the rooster crows to run 15 miles on San Diego’s Mission Trail. Fabrice’s penchant for physical activity goes back to his teenage years in Bayeux, France. At age 15, Fabrice was heartbroken when he missed the cut on France’s national soccer skills competition by ½ point. The now 41 year-old Hardel’s competitive juices never waned, even after changing his career ambitions from soccer star to chef in Normandy, France. 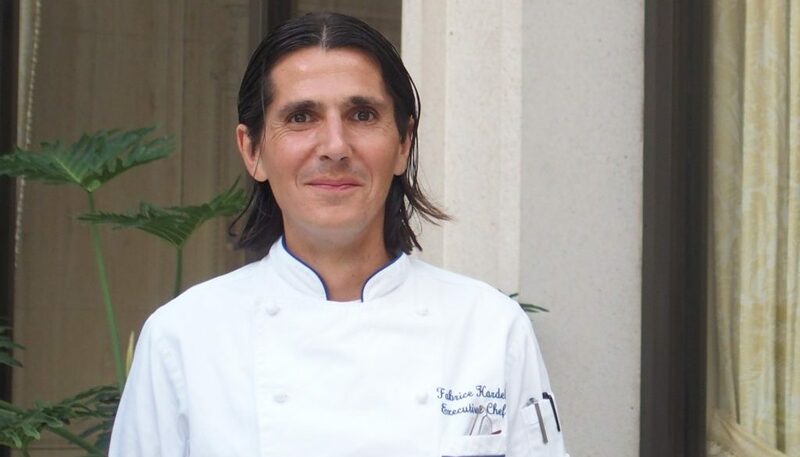 After gaining his cooking legs in a European environment where many chefs achieve God-like status, Fabrice relocated to the U.S. in 1997. Starting anew in America, Fabrice remembers being known as “the French dude” while working at the Ritz Carlton in St. Louis. In 2001, he made the west coast leap to his current position as Executive Chef at the toney Westgate Hotel. 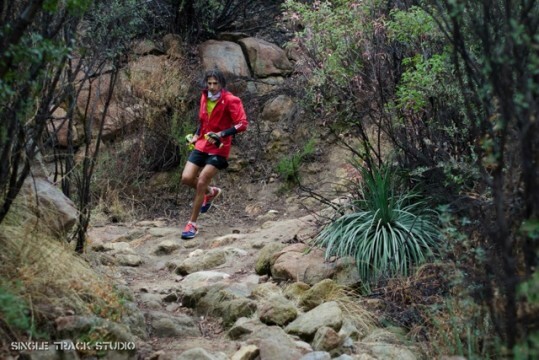 Fabrice dons his Adidas Adizero running shoes every morning to take on the mountains of San Diego’s countryside. Fabrice’s competitive run of choice is not for the faint of heart. Fabrice races, thrives, and often wins ultra-marathons, with some being as long as 100 miles. What Fabrice likes best about running extreme distances is that he and his running peers have a common goal. “In ultra-marathons, you’re not competing against fellow runners. 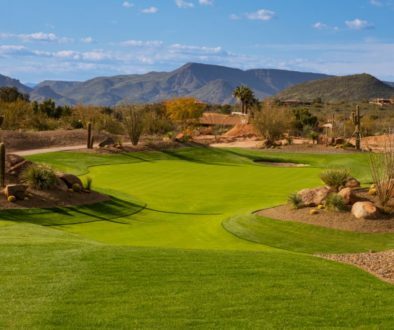 When you push yourself these kinds of distances, you’re trying to beat the race. It’s all about finishing, regardless of the time,” Fabrice said. The kinship and momentum Fabrice feels running San Diego’s mountainside paths continue as he arrives to cook at the Westgate Hotel. Most mornings, Fabrice appears at the Westgate with his hair still damp from a quick shower after his run. Fabrice knows he has a full plate overseeing the hotel’s Westgate Room restaurant, almost daily banquet and catering functions, as well as room service for 223 deluxe guest rooms. To keep the Westgate culinary endeavors performing smoothly, Fabrice needs a team that is attentive, creative, and capable of running the marathon facing a food and beverage operation open 24 hours a day and 365 days per year. Fabrice has an interesting take on what he looks for when adding to his Westgate culinary staff. “I’m seeking an individual who is nice, has good character, and will get along. I’ll hire someone with less experience if I like them as a person,” Hardel said. Fabrice’s 26-member Westgate team includes individuals from eight different countries. Bosnia, the Philippines, Mexico, Turkey, Germany, Italy, Great Britain, the U.S., and of course, France, make up the recipe of personalities that keep the high-end Westgate guests fed around-the-clock. With this many cultures working side-by-side, getting along is a key ingredient to a good hire. Whereas the Westgate Room menu changes according to season, the terrain Fabrice treks is matched by the day of the week. If it’s a Friday, the 6 ft., 152-lb. Hardel runs San Diego’s 6,000-acre Mission Trail. By the time Fabrice has completed his 15-mile run, he’s cleared his mind, cleansed his soul, and he’s ready to feed the Westgate’s Friday wave of hungry guests. For Fabrice, running is the cardiovascular equivalent to yoga. The Westgate Hotel’s international clientele means Fabrice menu needs to satisfy many palates. You will find asparagus salad with main lobster, lamb, Dover sole, scallops, beef tenderloin, and homemade pasta. Guests can also choose the classic hamburger. Even with this varied menu, the Westgate Room has gained a reputation for seafood excellence. “I grew up in a village in northeastern France where all my friends were fishermen. Seafood is in my blood,” Hardel reflected. Like a runner who is striving to better a personal best, Fabrice is subconsciously always on the clock. After accommodating a guest who requested a photo of the Executive Chef, the ever-moving Fabrice’s answer to a second camera opportunity sums up what drives him, whether it’s cooking or sprinting along San Diego’s highest elevations. Fabrice politely explained to the guest that he must attend to the needs of banquet guests on the Westgate’s second floor. Before the elevator door closed, Hardel smiled and said, “Sorry I’ve got to run.” For the aspiring soccer player turned international Chef and ultra-marathoner, the goal is not to relax until he’s finished the race.